FRANKFORT, Ky. (July 2, 2014) — The Kentucky Office of Highway Safety is urging Kentuckians to plan ahead during the Fourth of July weekend and designate a sober driver. 179 people were killed in motor vehicle crashes, 78 involving at least one driver or motorcycle operator with a blood alcohol content of 0.08 or higher, according to the National Highway Traffic Safety Administration. From 2008 to 2012, an average of 40 percent of Fourth of July traffic deaths involved drunk drivers. According to NHTSA, there were 10,322 fatalities involving drunken driving in 2012, accounting for 31 percent of the total motor vehicle traffic deaths for that year. 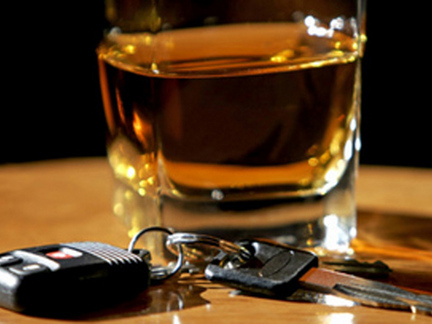 During the 2012 holiday, nighttime drunken driving crashes were almost 2.5 times higher at night than during the day. A free app with local taxi services and sober ride programs, along with a one-touch dial feature to report a drunken driver, is also available through Drive Sober Kentucky.